hotspots existing list is not exhaustive and other measures or actions may be added in response to Councillor feedback and as new issues are raised by the community. – A Pedestrian Access and Mobility Plan was prepared for the Chatswood CBD area. 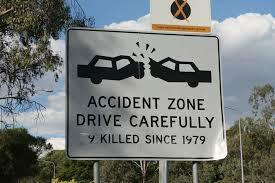 delineation and reduce the run off road crash rate. ← Delhi Rd Commuter Carpark? Thanks for the update, great information coming from this site. A quick question regarding Millwood Avenue, Chatswood West. A single lane road which has a truckload of traffic travelling at speed (albeit a 50 km zone) from Fullers Road, with no allowance for pedestrians,crossing to the bus stops. A state road, as is Fullers Road, has there been any discussion regarding solutions for traffic calming measures or repairs to the road surface in the Avenue? To my knowledge there has not been any recent discussion of that nature.